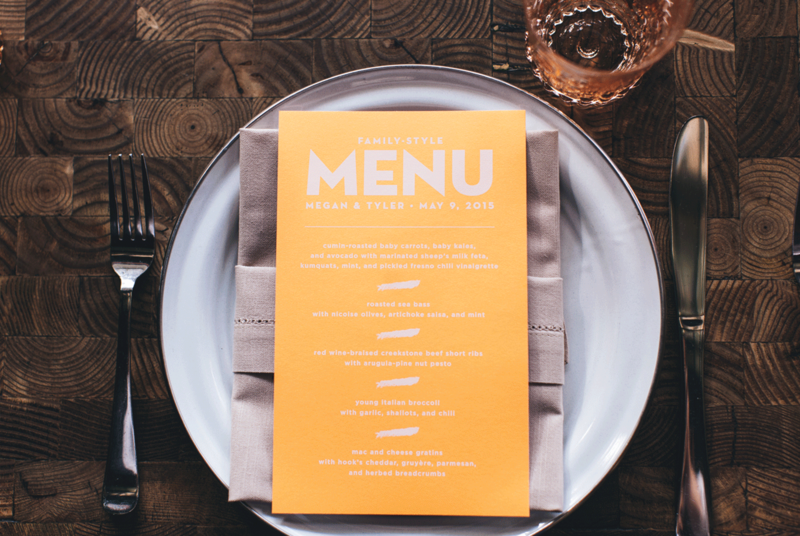 With only one piece to this invitation, it really had to stand out. 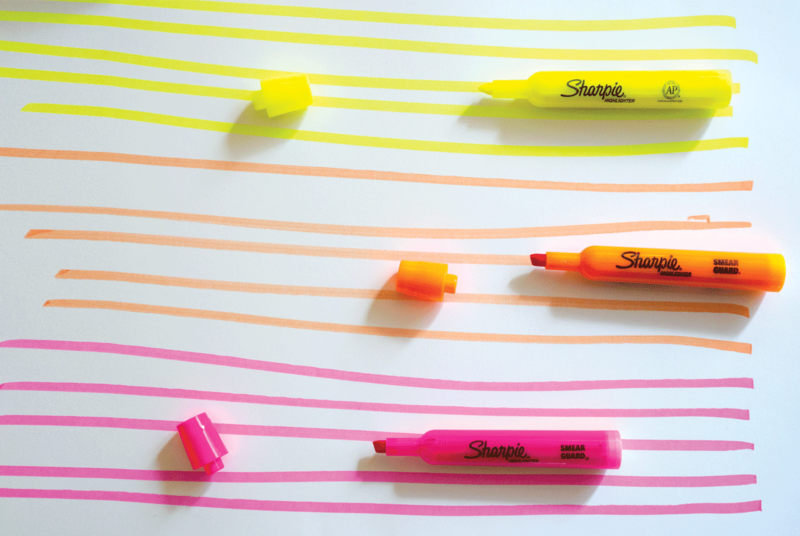 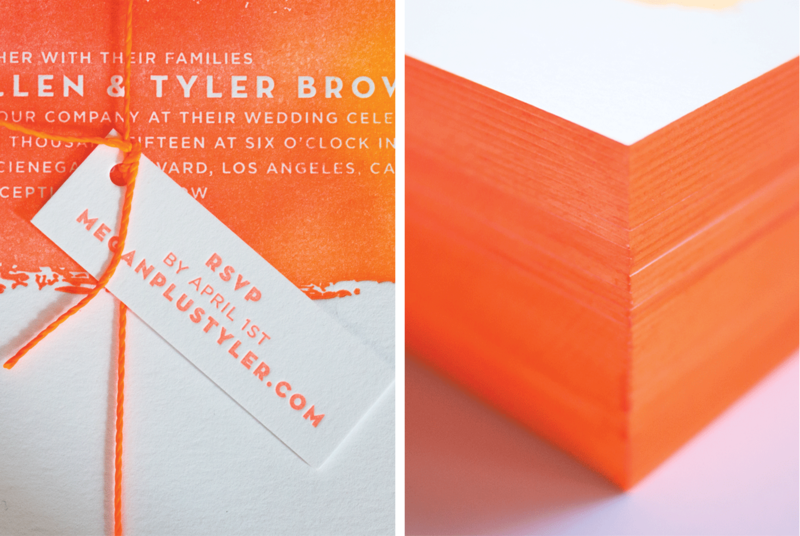 The ombre letterpress with reversed out type, the neon orange edge painting and white ink printed liner really made it pop. 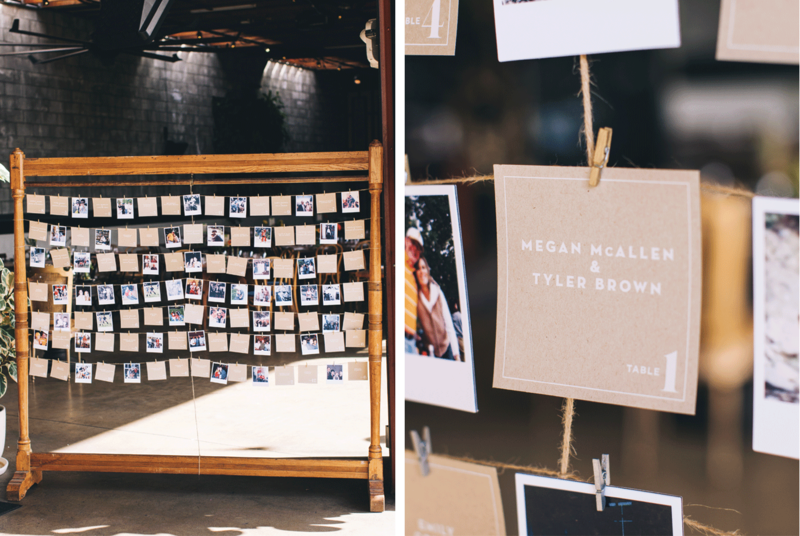 Letterpress printed on very thick museum board. 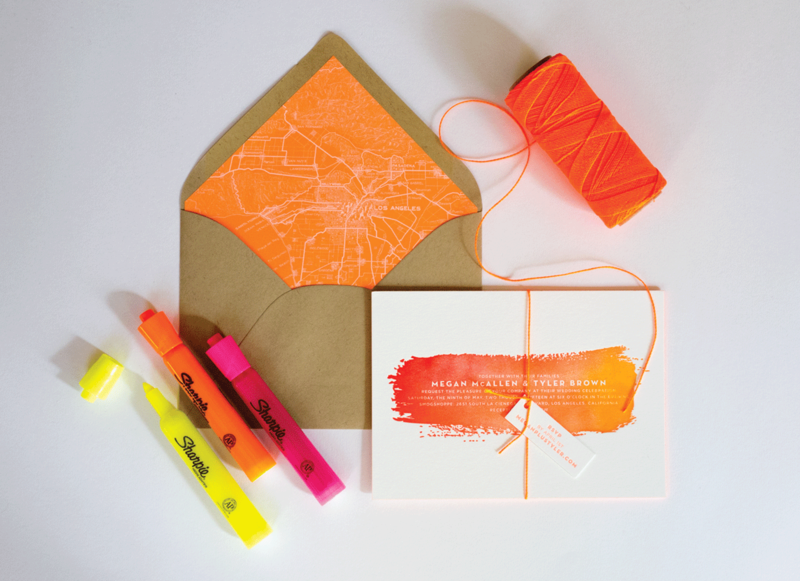 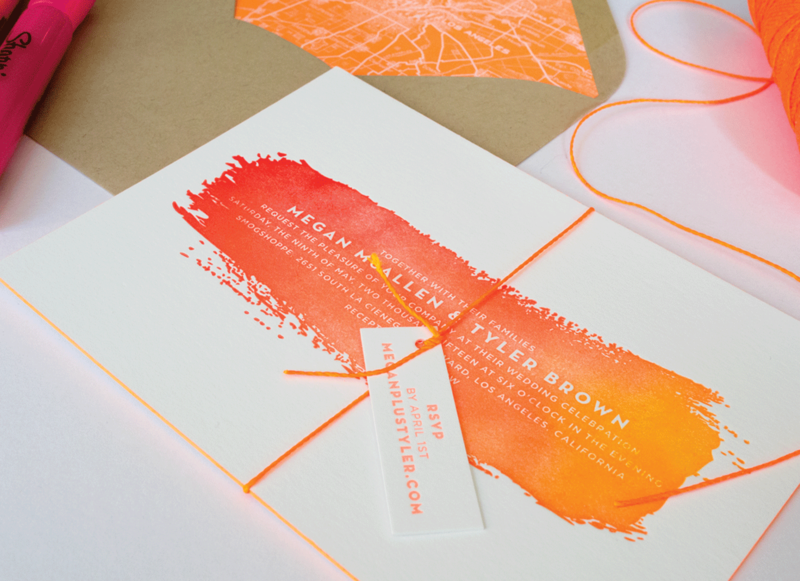 This wedding invitation suite included an invitation, lined envelope and website tag tied with neon orange cord.